When western medicine failed her for over 20 years Liane Arias decided to take matters into her own hands. Digging deeper into natural remedies she noticed that “alternative” medicine had been around long before western medicine and it often started at the dinner table. Liane studied a combination of the Longevity Diet and Traditional Chinese Medicine at Academy of Healing Nutrition and is currently a board certified holistic health coach residing in the NYC area. Her mission is to help people see that they have the power to heal themselves; physically, mentally and emotionally, one meal, one meditation and one movement at a time. You can currently find her sharing tips and information via Instagram (@food_as_medicine) to further spread her knowledge and love for helping others heal through food. Recently, I finished reading Denise Minger’s Death by Food Pyramid; How Shoddy Science, Sketchy Politics and Shady Special Interests Ruined Your Health and How to Reclaim It! Denise Minger was an English major in college with an interest in statistics when she laid waste to the life’s work of one of the most prominent scientists working in the nutrition field. In one single blog post Minger systematically and cleverly refuted the main points of The China Study, which was the seminal work of Dr. T. Colin Campbell. Much to Dr. Campbell’s devastation, this was not the work of a trained academic but instead of a curious, young blogger. When her blog post went viral due to her outstanding writing abilities, her superb research skills and her statistical astuteness she scored a book contract and Death by Food Pyramid was born. The pages of this book are filled with a plethora of history, science and everyone’s secret pleasure, gossip! This book helps piece together the story about how we ended up with the food pyramid in the first place and how the low-fat diet, a true fad diet, ended up reigning supreme in modern nutritional thinking. 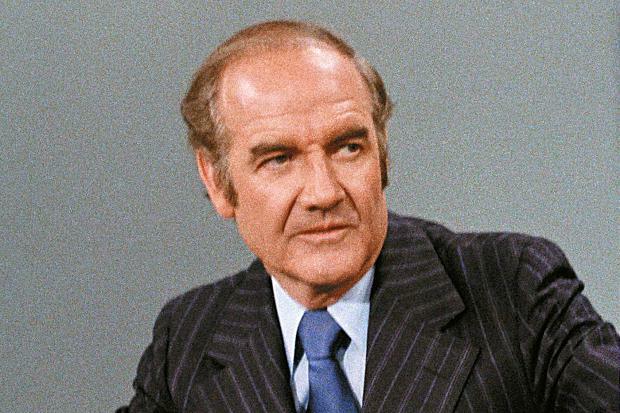 The beginnings of the food pyramid started with Senator George McGovern’s deep interest in eradicating America’s hidden hunger issues after watching a moving television documentary. He had no trouble gathering support, the documentary’s shocking and disgraceful exposure to the nation’s hunger had been enough to galvanize the public and congress into action. In the beginning McGovern worked tirelessly to abolish hunger in America but that mission was short lived. When McGovern rubbed shoulders with the low-fat guru Nathan Pritikin, McGovern veered from wanting to combat hunger in the nation to saving Am ericans from heart disease, diabetes and obesity through a low-fat diet. His mission was no longer to curb hunger but instead to combat the diseases terrorizing Americans. Pitikin and McGovern’s weapon of choice for getting the information to the public was a seventy two page report known as the, Dietary Goals for the United States. This would become the first effort to heal America by telling them to eat less instead of more. Wait… What? Wasn’t this the same man who was gathering support to end America’s hunger crisis earlier? Almost overnight he changed his thought process and started telling the nation that we needed to eat less instead of more. Over the years, government meddling and money wasting would eventually morph what was once known as the Dietary Goals for the United States into the Dietary Guidelines for Americans in 1980 which are now updated every five years. If you are interested in an updated dietary guideline as distributed by the USDA, the 2015 guidelines are currently being put together. Check out www.health.gov/dietaryguidelines/ to get updates about when the new guidelines will be released to the public. You must be thinking whats the big deal? Who cares about these documents, no one actually listens to them, right? Well, not exactly. The United States government has to adhere to these guidelines in all that they do. America is the largest food provider on the planet feeding over 50 million people daily, through school lunches, the military, prisons, hospitals etc. While you may not be affected by these guidelines on the home level, you are affected if you are ever hospitalized, if your children attend any school in the U.S. and do not bring their own lunches, or if your significant other is one of the many brave souls serving this country. These are more than just “guideline” they are national law! The USDA’s original food pyramid of 1992 as designed by an actual nutritional scientist who wanted to create recommendations to help eradicate the chronic diseases plaguing America. Her first draft pyramid cracked down on empty calories and junk food and the new guide’s base was a large portion of nutrition should focus on fruit and vegetables servings of 5-9 daily. Protein rich foods that included meats, eggs, legumes and nuts came in at 5-7 ounces daily. While dairy intake was limited to about 2-3 servings. Instead of focusing on McGovern’s low-fat-fad diet she promoted 4 daily tablespoons of cold-pressed fats like olive oil, in addition to the naturally occurring fats in food. But as you may known by looking at the pyramid we grew up with this guideline was hijacked and changed to promote an agenda. Businesses have been trying their luck since the dawn of the corporation age to get their hands into government issues and this was the first step to making that happen. Minger goes on to talk about the “lab rat diet” a diet that the general public never sees. It is a diet full of chemicals and processed garbage. So when mainstream media puts out a new story saying that ‘High fat diet in mice cause (insert illness here)’ it really means that researchers force fed mice a diet high in soybean oil, hydrogenated coconut oil, maltodextrin and sugar to make them obese, then studied the effects of this obesity (page 76). She moves effortlessly through chapters targeting ‘scientific research studies’ right down to Polyunsaturated fatty acids (PUFA) and how one company, P&G (Proctor & Gamble), pioneered what is now an American tradition; getting rid of agricultural waste products by feeding them to humans. This chapter alone will make any skeptic do some more research on the dangers on PUFAs before they brush off the idea. She even goes as far as to mention how big companies took advantage of the fact that women were trying so hard to be “modern” and used that as a way to get into their heads and eventually their pantries. Minger even mentions the lengths these conglomerates went to ensure the public stood in the dark about these franken-foods. During this time the American Heart Association created a pamphlet with a carefully worded demotion of trans fats which were never given to the public because of one man, Fred Mattson. Fred Mattson, a researcher employed by P&G, convinced the AHA’s medical director to remove all traces of the incriminating statements. So the AHA revised the brochure to make it more palatable for the margarine and shortening industries instead (can we say “I can’t believe its not ethical!”) It wasn’t until a few decades later that the AHA would put trans fat on the plank. Minger goes on to bringing Weston A. Price to the closing chapter of her book. She gives a brief history of how he became the man we all know today. She even goes as far as saying that in order to obtain optimal health one must reconsider not including animal fats to their diet. I am here to tell you I can agree with this but as with everything, moderation is key. Bio-individuality is the key to optimal health. When it comes to food there is no one size fits all approach. Some people strive on a Vegan diet while others feel more grounded on a Paleo diet. There are some leading a healthy life on the Gaps diet and others that have been living a full, healthy life on the Mediterranean diet. With that being said there is no one health adjustment that will work for all 7.329 billion people around the world. It is not feasible to try and fit everyone into this cookie cutter way of life because life all over the world is different. There are traditional differences, differences in climate temperature, Electrical Magnetic Field differences and even pollution differences, just to name a few. So, a Vegan diet that may strive amazingly in California may not work in Alaska, while a Paleo diet may be difficult to maintain in the blistering heat of the Sahara but strives in temperate climates like that of New York. Think what you may about Charles Darwin and his theory on evolution but he had one thing completely right, and that is that those that made it to where we are today were due to what he called ‘survival of the fittest.’ It was those most adaptable to change that survived and evolved to create civilizations as we know it today. So while you may think that you need to be Paleo because you feel 1000% on it or maybe you think that a Pescatarian diet is more for you, I am here to tell you that you are all right! In our own way, we are all doing what is best for OUR unique body so before you go and yell that your diet is the best and EVERYONE should be on it think about this first, how did you feel when you did not know about this said diet or this way of life? Did you feel outcast because you thought differently? Did you feel like you were so different you could never fit in? Well that is exactly how those individuals living THEIR truths feel. Don’t bad mouth what you do not understand and instead help other finds their happy place even if that means taking a step back. Let food be what brings us together not what sets us apart. Food is what we need in order to live so lets make our life worthwhile and stop fighting with food and start enjoying it again!